Go Purchase/Listen to my New Album! Alaska Road Side B OUT NOW! “Told you when I get that cake everybody get a slice…” Thank you @MMPNow Family! I’ve been occupied giving inspiration. Blessed. @Rico_Nasty @_qdafoolrs & @Jefe LIVE @ @EchoStageDC Follow @AwdisMedia on IG! Productive Video/Photoshoot with @ImHollyJ @SpokenArcane & @FerventFlowStudios Awesome Vibes, AMAZING ENERGY! 2018 is a Big Year. Stay Tuned. Alaska Road Side A Out Now! Click on the picture above to listen & purchase your copy today! Happy Thanksgiving To All! New Music Video Out Now! Forgiveness. Autumn tends to have people in their deep mental states. Reflecting on past events. At the end of the day. We are human. I forgive you & at some point in life I hope you can forgive me too. To my haters, to my enemies, to my undercover fans, you don’t have to like me but I will be respected for my artistry. Bless. It gets LITTY @ #TheBourbonRoom FREE PERFORMANCE SLOTS EVERY SUNDAY! S/O @acedrucci & @dj360dmv thank y’all for having me. Show Time! Come out to The Bourbom Room & check out VA’s Top Artists! @LibbyLuv66 will be Bartending! Turn UP! You already know what time it is… Tickets Are $10 Come out and support your Indie Artists! give me a shout to get your tickets! Www.VABangerz.com Blessing y’all this Thanksgiving with “Sleepin’ On Me” visuals by @DayOffFilms following up with the new album on #BlackFriday Nov. 24th… @downtownsound_co & @VABangerz will be presenting @VaneAwdis “Alaska Road” Side A. Droppin’ Nov. 24th on all platforms. WIN THE CHANCE TO PREMIERE YOUR MUSIC VIDEO/VIDEO ON THE #1 MAJOR URBAN MUSIC OUTLET!!! @VaneAwdis @VABangerz @VeigaEnt @Renegade703 & @JC.Da.Rippa @ @Rico__Nasty Show @ Eden Lounge. Come Kick it With @TeamVeigaEnt @ Eden Lounge for Rico Nasty’s Show! Show time this evening @ The Bourbon Room in Fredericksburg, VA! Come out to network & support your indie talent! @DownTownSound_Co & @VABangerz will be presenting @VaneAwdis “Alaska Road Side A” Feat. @ChinoXl Droppin’ Nov. 24th… Stay Tuned. Bandman Smoke #TRAPHOUSEWIDEOPEN OUT NOW! Follow @DWDWatchMyShoez on Twitter, Instagram & SnapChat. Salute to @DayOffFilms for a wonderful event! Come Out & get your paint on! On The Road with LT Picasso & New Age! Footage Coming soon! 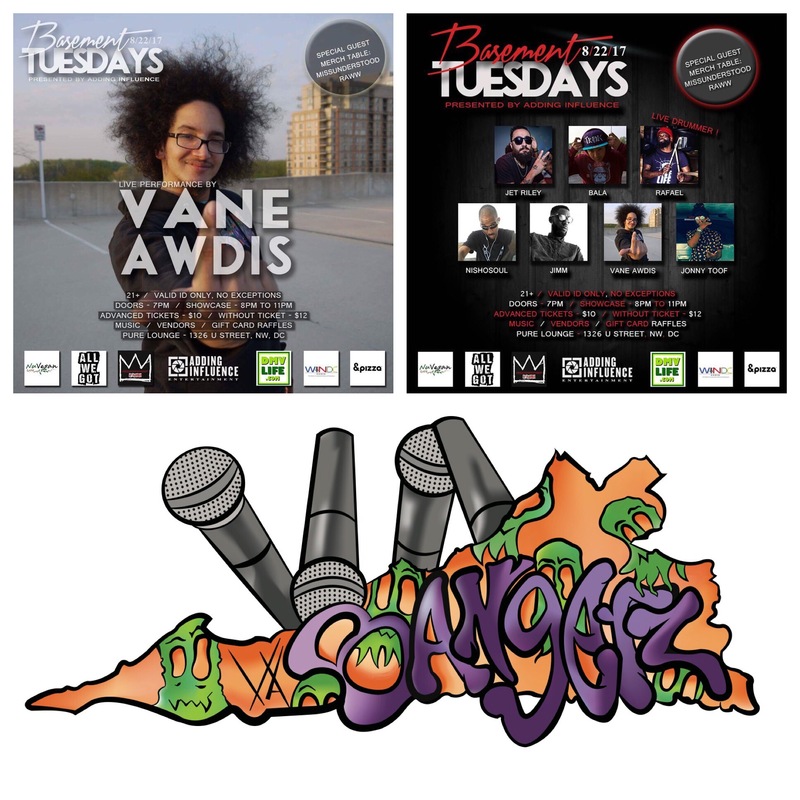 Catch Vane Awdis at Pure Lounge Tuesday August 22nd! Supporting a local Virginia Author Stephanie Williams! Check out her book “Aubrey’s Diary” & Purchase it on Amazon Today! Catch Vane Awdis Performing Live @ Pure Lounge! Tickets are $10! EmailVaneAwdis@VABangerz.Com toget your tickets today! Therapy (Official Music Video) Drops @ 3 PM! Shon X Summer 17 Out Now! 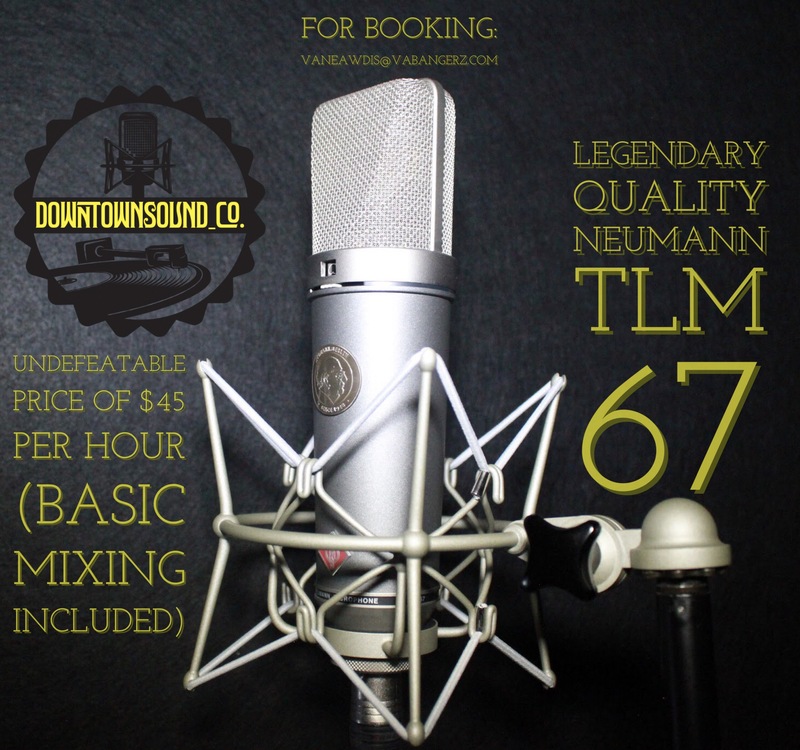 New @DownTownSound_Co Montage Video Out Now! State Streets The Mixtape Out Now! In need of a Music Video, Commercial, Short Film, Etc?